You will find that Tacoma homes for sale listings presents a wide selection for buyers in every price range, from new Tacoma downtown condos to historic homes near the city center and the southwest edge of town. Tacoma’s finest properties mix the old and new seamlessly, offering many different classic building styles and the latest in residential amenities, like solar roofing. 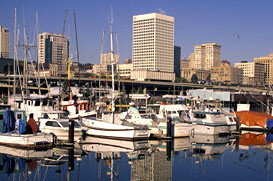 Tacoma consists of 12 Neighborhood Business Districts. When you visit Downtown Tacoma, expect an exciting northwest cultural experience, with dozens of galleries, museums, and theatres showcasing the region’s best art and drama, as well as a wide variety of fine urban retail destinations, clubs, and great dining spots.